As a testament to the procedure’s effectiveness, CoolSculpting clinics have mushroomed all around the world to serve the growing needs of the market. In laser clinics in Singapore, CoolSculpting is one of the most sought-after treatments because it has proven to be a safe and effective option without the costs, health risks and recovery time associated with liposuction or surgery. 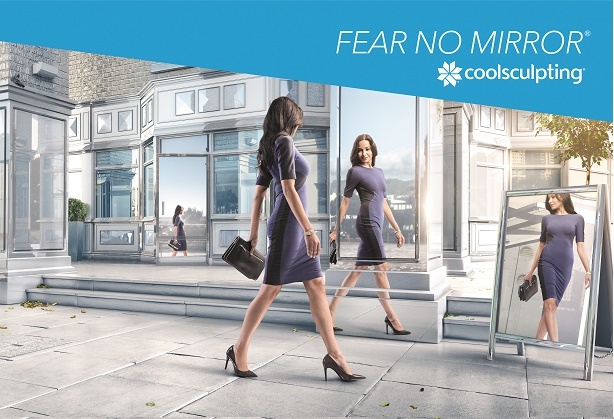 For smaller pockets of fat, a new and smaller applicator called CoolMini has been US FDA-approved to target and treat areas that are harder to slim down because no specific exercises can be performed to target them. Among these are the double chin, knee fat, and bra fat in armpit area. The submental fat, or any fatty area below the chin, was once a very difficult area to treat by diet and exercise no matter how many “facial exercises” out there claim to slim down this area. An aesthetic laser clinictraditionally approached this problem area with a scalpel or needle. Like most stubborn fatty areas in the body, the double chin can only be reduced with a total body workout. But with CoolMini, you can say goodbye to “turkey wattle” and turtlenecks, and hold your head high once again because there are no scars to hide. So maybe the wintry holidays is not the best time to wear mini-skirts, but if you plan to fit into slinky hot pants or bare slimmer knees when the weather gets warmer, now is the time to get rid of stubborn fat above or around your knees. Unlike the thighs, sculpting the region around the knees can be difficult to achieve via exercise, so stubborn fat in this area has been traditionally treated with liposuction. With a CoolMini applicator that is able to suction this trickier pocket of unwanted fat, you may no longer want to wear thigh-high boots even when the weather demands it. CoolSculpting has been prescribed to treat “batwings,” those pesky flab that hang from your forearms when you spread them open. And unlike the triceps, which can be toned by dips,there are no exercise routines that can specifically trim bra fat in the armpit area, even with the ongoing “battle against the bra bulge.” Of course, it’s still cold out there to be wearing tank tops or sleeveless frocks, but if you get CoolMini treatmentfor this area now in a medical clinic in Singapore, you will be the first to embrace warm weather with open arms sans sleeves. Consider looking good – in a tube top no less! – a well-deserved gift to yourself.